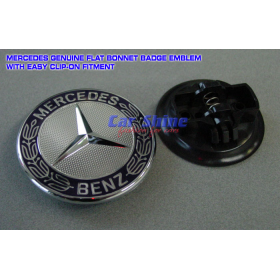 This High Quality Badge is sure to impress with its shiny clear finish on Black with AMG Chrome Logo. Finished with Chrome Frame for the perfect prestige statement! 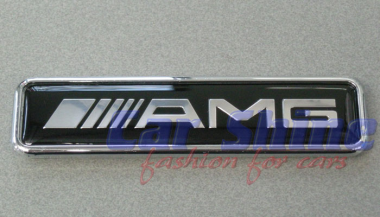 Designed for simple installation with 3M tape backing... simply find your desired position and stick onto your car! Multi-purpose design which can be used on the interior and exterior of your AMG Mercedes!